Animals are adorable, but animal face masks are cuter! bntNews and SNP Biotechnologies has kindly sent us these masks to try out. I received the Animal Panda Whitening Face Mask but surprisingly, the box contains the other masks from the line as well. 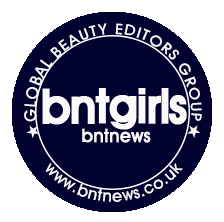 I believe that bnt has divided the contents of the box to each of us ladies so that readers will get more reviews! The SNP Face Masks contains coconut water (50% natural coconut juice and 50% coconut water) to nourish and hydrate the skin. The sheets are made of natural pulp which are used to make diapers for sensitive baby skin. FDA Certified color safe dyes are used for the design of the sheets and are used to make products that comes in direct contact with the skin (so no worries!) SNP also stands with animal protection and part of the sales are contributed to the Korea Animal Protection Society. I'm starting off with my favorite face mask which is the Tiger Wrinkle Mask. This mask improves wrinkles and boosts elasticity of the skin. This was overflowing with serum and it was dripping out of the packet when I opened it. I hate wasting product so they ended on my legs! ^^ It has slight powdery scent to it which I enjoy because it was not overpowering and didn't irritate my sensitive nose at the time. The design on this tiger mask is awesome and very detailed and I quite enjoy scaring my niece when I had this on. My skin absolutely loved this mask. It is great for dry to normal skin, which I have. It left my skin felt supple and slightly tacky. It also made me look glowing and my mom even said my skin looked great (even when I had bad dark circles from the night before!). My second favorite mask out of the four that was sent. The dragon mask aims to heal and calm damaged skin while restoring moisture and sebum balance. If I thought that the Tiger Mask has great design, boy, was I even more surprised with the Dragon Mask! The design is so well thought of that and it reminded me of those Japanese dragon masks. I took a Snapchat photo of this and sent it to my friends and they said it was both scary and awesome! For those with skin problems, this is the mask for you! Since I haven't had any breakouts lately, I was more concerned of my redness and uneven skin tone. I was happy to see calm and a more even skin tone after having this on for 20 minutes. I still had some of the serum left on my face when I took this off at the end of 20 minutes and I quite liked it. I just massaged the rest of the concentrate on my face and happily watched myself in the mirror because I couldn't believe that my bare face could look that good. My least favorite mask of the four is the Panda Mask. I was so disappointed by this since it promises skin brightening which I desperately need because my face has been dull because of stress and weather. I already knew from the moment I opened the packet that I might not like this mask simply because I can smell alcohol in it. Since my skin has been very dry I'm really afraid of using products with high alcohol content since it dries out the skin even more. I was completely true about the not liking this mask because I couldn't even leave it on for more than 10 minutes on my face. While I usually really like products with cooling sensation, I couldn't stand the cooling effect this had on my face. My face felt like it was drying up despite having more than enough serum on it. In fact, the serum was dripping all over the place when I used this. I didn't really see brightening results and the only thing I got from this mask was a very annoying cooling sensation and a very irritating smell. The design is still pretty cool and I quite like how it looks but not how it feels! I always look forward to using products with the word aqua with it because I associate it with being fresh and hydrating. The Otter Mask aims to restore skin balance and protect it while providing energy. As per Kim's suggestion in her own review of these masks, I opened the packet over the sink. She said that the serum was stained with blue dye so I was worried that I would get the things in my room stained as well. Thankfully, the serum in my packet wasn't stained with blue dye. I even scraped the rest of the serum and applied it all over my arms. I don't think his mask is as amazing as the Tiger and Dragon masks but it did make my makeup last better and longer throughout the day. I took this off after 20 minutes and actually enjoyed how supple my skin felt. I had moisturized skin afterwards and that's all I cared about. This mask also has a slight powdery scent to it like the Tiger mask. My little niece absolutely loves how the otter design looks than all the other ones. I guess it's because this looks less scary and more friendly. These masks are amazingly fun and perfect for girls' spa nights! I personally would stay away from the Panda Mask but they are overall great sheet masks. I had no problems with fitting them into my face except that the sheet above my lips keeps on falling on my upper lip.